Why choose a professional to shoot your Wedding? I’m camera guy and spend a lot of time reading about the latest and greatest cameras to hit the market. I’ve been around the block a few times – I remember when digital SLR cameras made it to 3 megapixels resolution and I was wondering if they would one day ever make it to 10. Now my 8 year old son’s $50 digital happy snapper has a 14 megapixel sensor and the smallest sensor in my own stable of cameras is 24 megapixels. But it’s not just camera megapixel’s that keep increasing – the features and processing power of each new release camera increases year after year. Better and better low-light settings, faster and faster shutter speeds, better and better automatic settings such as best/multi shot selection etc . As a professional photographer and new camera addict I count my blessings that I was born into an age of such fast development. Of course I’m not the only one to realize just how much more you get with a modern SLR camera these days and I’m sometimes asked if I fear for my livelihood with modern cameras removing the need to have a professional behind them. As a professional wedding photographer I know of many cases where the previously happy couple made such an assumption and found out to their horror the hard way that just like Formula One cars need racing car drivers high-end cameras do best in the hands of professional photographer. So I put this article together detailing why on your wedding day you should hire a professional photographer rather leaving it up to a uncle Bill with his new camera to capture your big day. wedding photography consists of capturing all of the important events over the course of the wedding and the reception. There is lots of movement, throwing of bouquets, dancing, speeches et cetera. Like a sporting event your wedding photographer gets one shares to capture each part of your wedding. He needs to be in the right position, with the right lighting, the right camera with the right lands with the right settings at the right time. You want someone with experience managing this sort of high action shoot. Lots of reasons for this. It’s quicker to change cameras than to change lenses if a different lens setup is required. 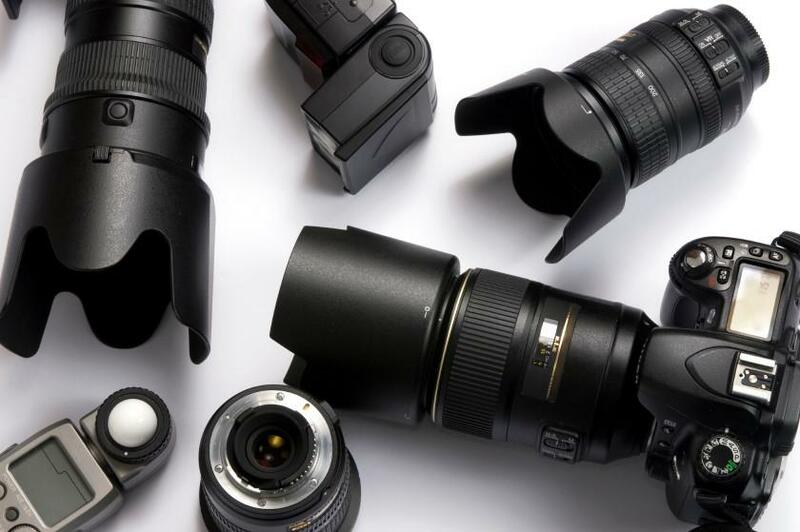 A professional photographer will likely arrive with three or four cameras already set up with a particular lens. Cameras fail. Having multiple cameras alleviates this problem. over the course of a wedding and reception your photographer is going to need to manage photographing in many different lighting conditions. Inside, outside, under fluorescent or incandescent light… Or even in a mix of natural and artificial light. Lowlight in the latter parts if the lights are turned down the dancing. Whilst the modern camera will do a serviceable job using automatic settings are wedding demands unmemorable job not just serviceable. A professional wedding photographer will be old or just to the many varied lighting conditions the average wedding presents. when I photograph are wedding I take at least 10 memory cards. Not because I had my camera set continuously on multishot at 10 frames per second – I have 10 memory cards because I swap one out every 30 minutes. Memory cards can fail as well. Far better to have one fail with half an hour of the wedding missed than have the whole wedding lost different shot all on one memory card. Taking a great shot is not five parts luck, four parts camera and one part photographic skill. Certainly having a quality camera is important and I do not like to discount an element of luck in capturing an action photo just at the right time but in my mind photographic skill accounts for at least 90% of the end result. A professional photographer will be our manage everything in the shoot to ensure the end results are top shelf. From camera settings such as lighting, depth of focus and shutter speed to angles to choice of lenses to choreography of the shops themselves and keeping the happy couple looking naturally happy as opposed to every shot appearing forced and staged….. these are the skills of a professional photographer. Including a variety of lights and reflectors, tripods, spare camera batteries, flashes, automatic shutter release systems etc, Uncle bill, is unlikely to have all this extra gear…. Unless he is a professional photographer. Because that’s when the second half starts, sorting through the shots, picking out the best ones, then Photo-shopping to ensure they are colour corrected, any lighting issues are addressed, unwanted elements are cropped out etc., In most cases, the newly wedded couple will want the wheat, not the wheat and the chaff, and they will want the wheat looking as good as possible. NOVAWEDDING PHOTOGRAPHY (C) 2016 ALL RIGHTS RESERVED.